artworxLA just launched a new website to help Opportunity Youth connect to their education and to creative employment by identifying our County’s existing multi-sector efforts along the creative career pathway. Creativity is a critical part of the Los Angeles economy, comprising 1 in 7 jobs. 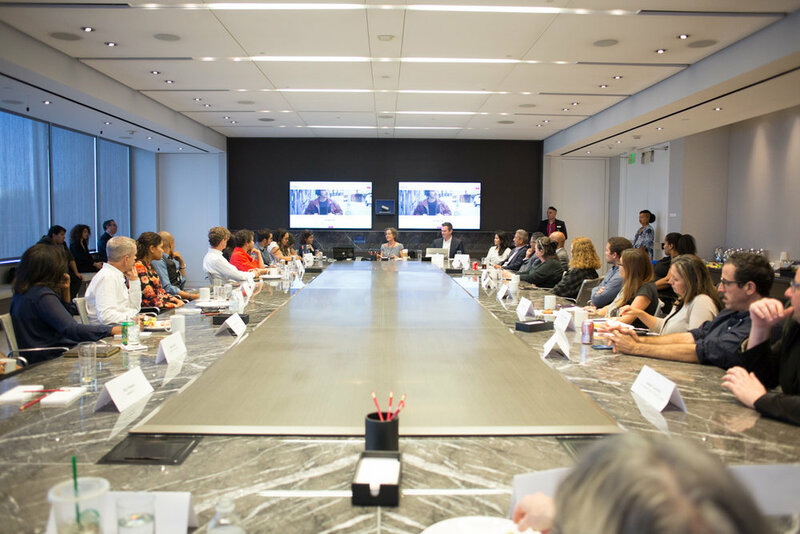 In spite of so many jobs, gaining access to them is difficult..
On October 15, artworxLA convened a group of about 40 leaders from sectors along the creative career pathway: nonprofits, K-12 education, workforce investment, post-secondary education, and creative industries. 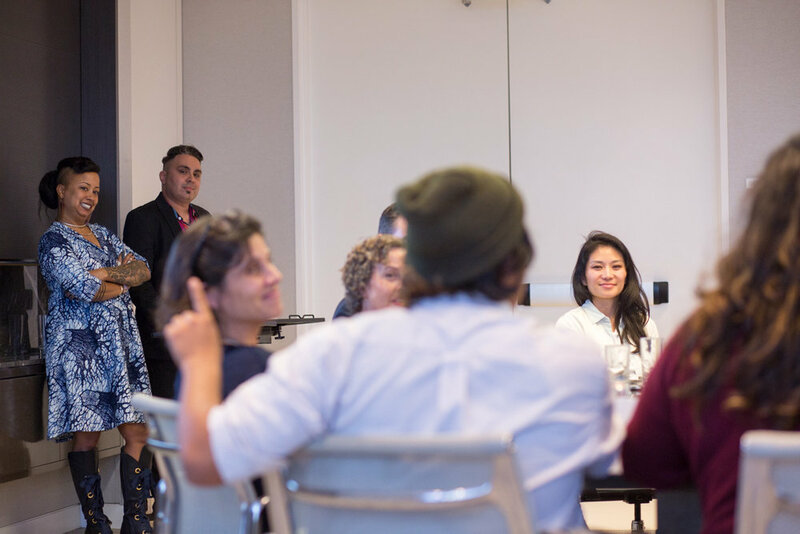 Leaders gathered at CAA, thanks to artworxLA Board Member and CAA Agent David Kopple, to learn about the new Elevate website and to activate cross-sector networking. The goal of this new online resource is to amplify our collective impact, gain greaterunderstanding of what each sector brings to the pathway, and understand how each sector can work more collaboratively to support our students. Join our Elevate network! Whether your organization is a school, a nonprofit, a government agency, community college, creative industry agency or a grantmaker, if you are working along this creative career pathway, we’d love to connect! Click here elevate@artworxLA.org to get started. We thank the following individuals and organizations for making this site and the launch event possible.